If you are upset, worried or or struggling with something whilst you are at University, it can help to talk to someone about what you are going through. Talking to someone about what is troubling you can make a big difference to how you feel. Find out who you can talk to if you need some extra support with your mental health and wellbeing whilst at University. The Student Support Drop-ins are an opportunity to meet with an advisor without an appointment to discuss what support is available to you. Click here for more information about the drop-in. First Support are a team dedicated to helping students who may be facing difficulties in their life, or dealing with a crisis. The team offers face-to-face, telephone or Skype appointments. Counselling is an opportunity for you to discuss any concerns or issues you may have in a supportive and safe environment. The Student Life Team are dedicated to supporting students wellbeing 24 hours a day, 7 days a week. The Faith and Reflection Centre is your home on campus; an oasis in the midst of your busy schedules. You don't have to have a religion to come and use the space. Your Personal Academic Tutor offers one-to-one support and advice throughout your time at the University, and will support you in your studies or with other issues you may have. 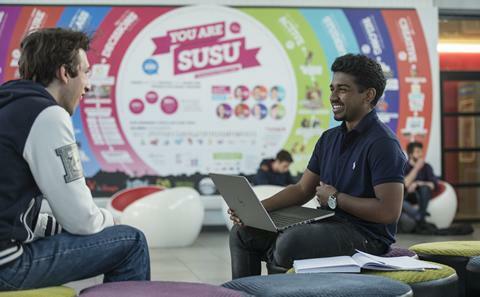 The Students' Union Advice Centre provides free, independent and confidential support to all students. There is also a wide range of services in the local community and nationally that are there to offer support and someone to talk to. Your doctor is there to help you with your mental health as well as your physical health. The Mental Health Foundation has tips and advice about speaking with your doctor about your mental health - click here to go to their website. Samaritans offer a safe place for you to talk any time you like, in your own way – about whatever’s getting to you. To find your local Cognitive Behavioural Therapy service, click here. Southampton's local service is Steps to Wellbeing, which is a self-referral NHS service available to people who are registered with a Southampton GP, and offers evidence-based treatments for mental health problems such as anxiety and depression. Find out more about Steps to Wellbeing on their website or call them on +44 (0)800 612 7000. No Limits is a charity which offers free and confidential information, advice, counselling, support and advocacy for children and young people under 26 who live in Southampton and Hampshire. HOPELineUK is a confidential support and advice service for young people under the age of 35 who may be having thoughts of suicide. Sometimes it can help to talk to someone you are close to. The Mind charity has some helpful information on talking to friends or family.